An update to Vol. 1, pp. 7–14. Tell Abu Hawam, a site on the estuary of the Qishon River north of the Carmel Ridge, within the municipality of Haifa, has aided archaeologists in the quest for knowledge of contacts and trade relations in the ancient world, especially between the Aegean and the Levant. Its auspicious location is midway between Cyprus and the Nile Delta, where maritime and terrestrial routes met, and at the foot of the Carmel Ridge, which protects it from the prevalent southwesterly winds and enhances its usage as a harbor. The drawbacks of the site include its position on an active geological fault line, the swamps of the Qishon River, and the proximity of the Carmel Ridge, which hampered the continuation of the terrestrial trade route. The site is now located c. 1.5 km from the coast due to geomorphologic changes, silting caused by the Qishon River, and industrial and urban development that changed the river’s course and dried the area. 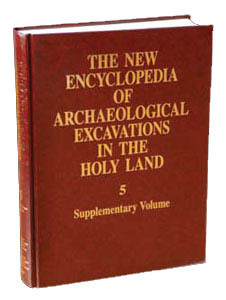 In 2001 and 2002 salvage excavations were carried out by the Recanati Institute for Maritime Studies at the University of Haifa and the Israel Antiquities Authority, under the direction of M. Artzy with the assistance of S. Yankelevitch and U. Ad. The data from the renewed excavations can greatly contribute to our understanding of the geographical and ecological setting of the site. The project included a geomorphologic study by E. Reinhardt and B. Goodman from MacMaster University in Canada.